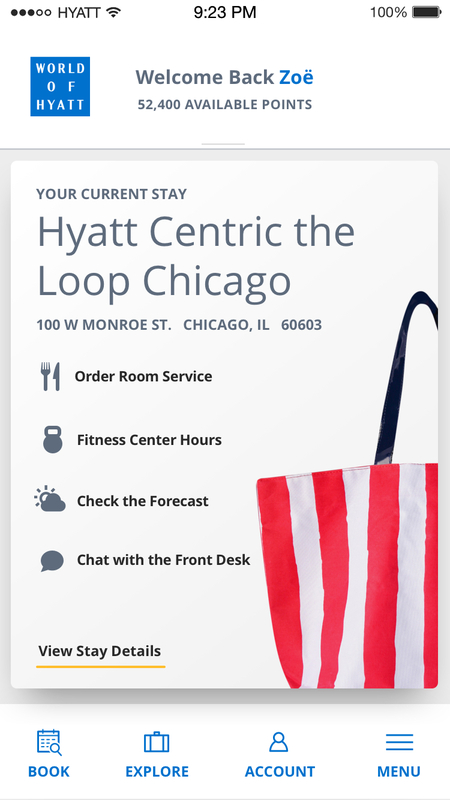 This is a design concept for an initiative to update the visual style and experience of the Hyatt Mobile App. 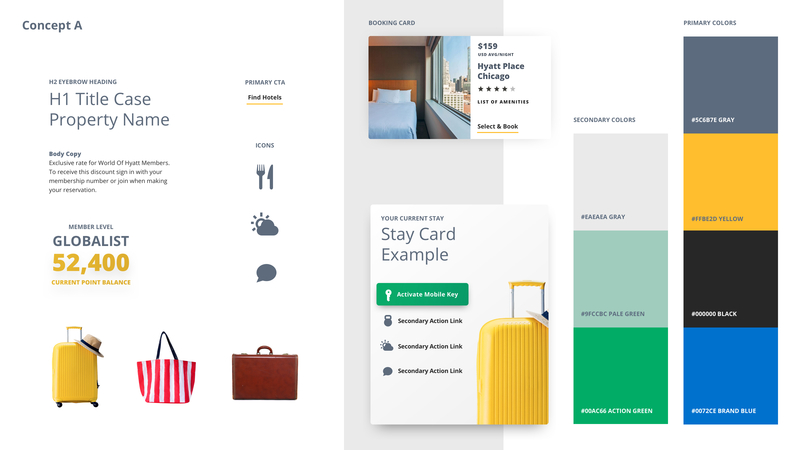 While creating a design that was both lighter and brighter in color, this concept intended to support the user at any given point of their journey. 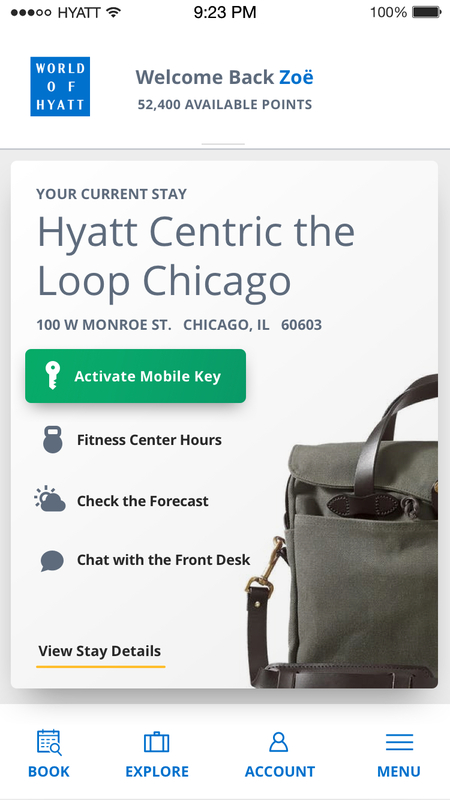 Whether they are booking and planning an upcoming stay, arriving and checking in to a Hyatt property or searching for answers during their stay. The idea was to surface the most relevant action-items for a guest. 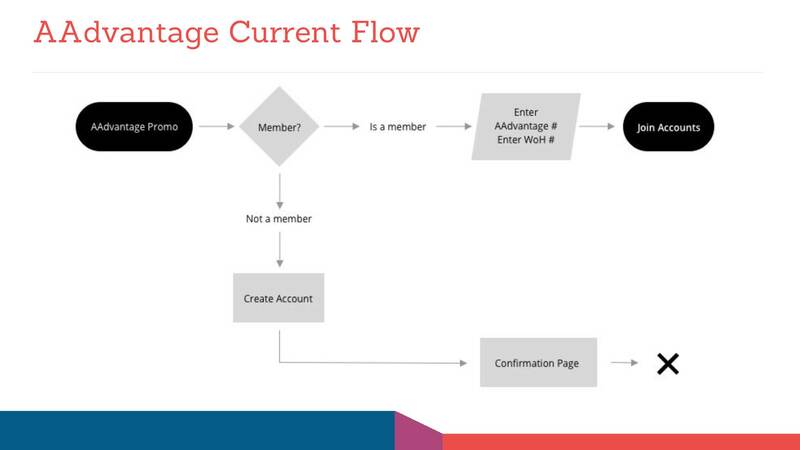 It was also important to have easy access to use and keep track of loyalty program points. 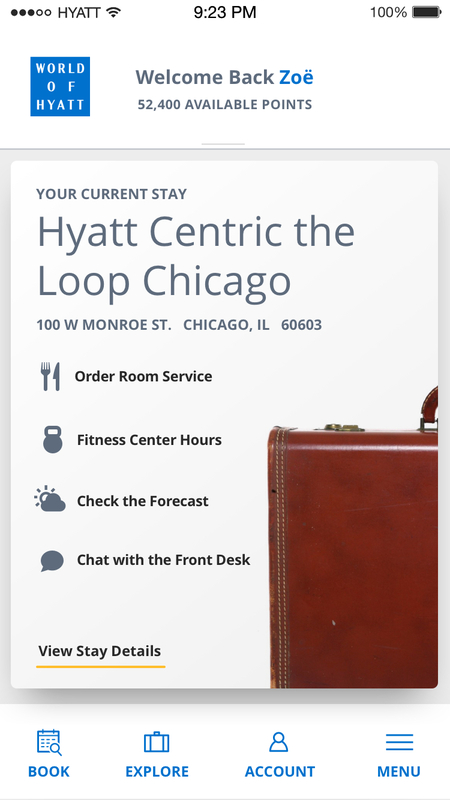 As a simple, friendly and universal design element that let users focus on content, suitcases similar to design elements within the World of Hyatt Brand. They were also a device that hinted to business or leasure travel. 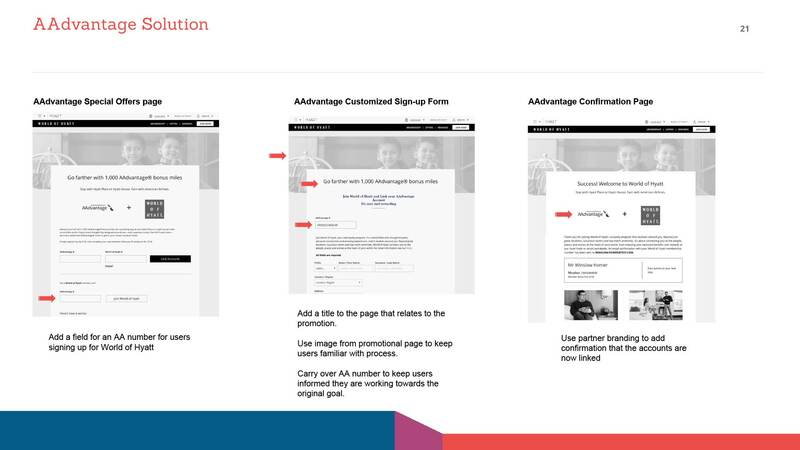 I evaluated several flows that left newly registered members abandoned when they attempted to sign up through different types of special offers. 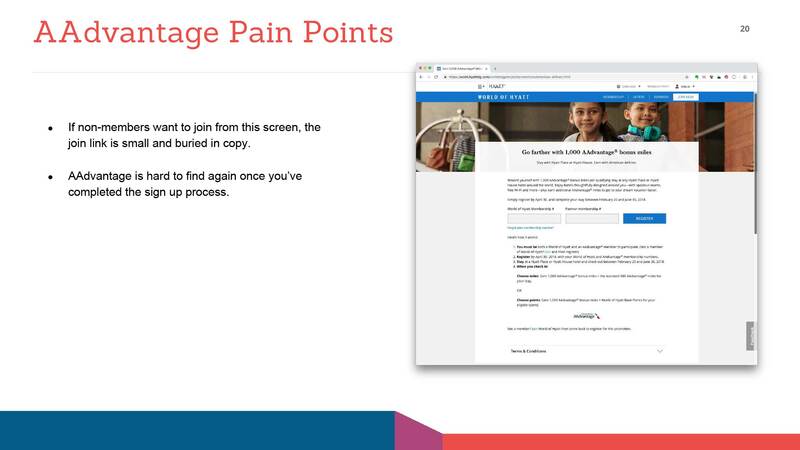 For example, when non-members found an offer to earn American Airlines points for signing up and booking as a World of Hyatt member, they weren’t being looped back in to the promotion after completing the sign up form. My task was to evaluate those different scenarios and provide various solutions to each.